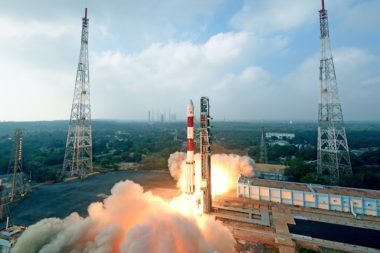 Some smallsat industry officials feared Swarm’s unauthorized launch would spark a regulatory crackdown. That hasn’t happened. And while the FCC had feared Swarm’s satellites — each not much bigger than a hockey puck — were too small to be visible to the ground, both the U.S. Air Force’s Space Surveillance Network and commercial radars operated by LeoLabs were able to find the SpaceBees after they were dropped off in orbit by an Indian PSLV rocket loaded with small satellites. In December, the FCC fined Swarm $900,000 for the launch and required the Palo Alto, California, company to implement new regulatory compliance measures. In January, a year after the unauthorized launch, Swarm closed a $25 million Series A round from a team of investors, including SpaceX investor Craft Ventures. Swarm has seven SpaceBee satellites in orbit and plans to put up at least 143 more to provide very low-data-rate communications for sensors, vehicles and other Internet-of-Things devices. Longer term, the company also wants to bring people into the equation by supporting text messaging and other low-data-rate applications. Swarm says it has learned from its mistakes and is ready to pursue its business goals responsibly. 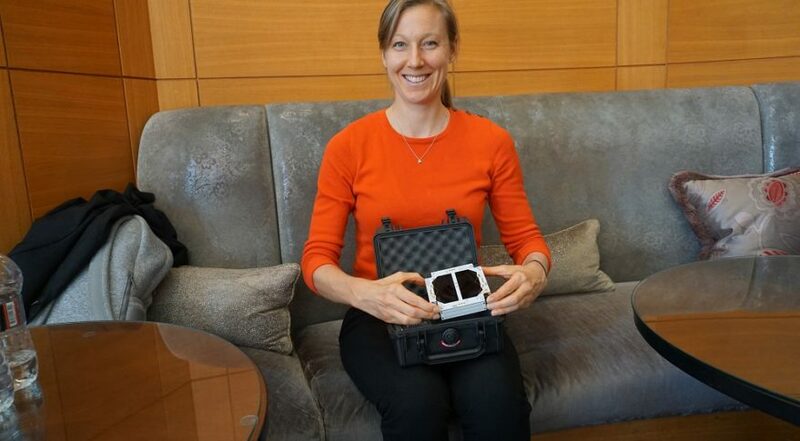 SpaceNews spoke with Swarm CEO and co-founder Sara Spangelo — an aerospace engineer who has worked for NASA’s Jet Propulsion Laboratory and Google — about the company’s past and what it hopes to be known for in the future. Swarm made headlines last year when it launched four satellites without authorization. Why did you do it? There is a lot of complexity in government regulation, and I think our company was trying to move pretty quickly. We really did try to work with the FCC and got caught in a situation that was unfortunate. We definitely recognize that it was a mistake. Since that time, there’s been tremendous progress on getting our license, both for the quarter-U’s that were initially launched as well as the [three] satellites that were launched in December. We’ve been working really productively with the FCC since that time. Was there any point in the lead up to the launch where you thought maybe we should turn back? I think I’ve said all I can say about FCC stuff. Swarm hired Kalpak Gude, a well-known satellite regulatory affairs veteran, but said he’s not your FCC-mandated compliance director. When will you hire one? He is the compliance officer in our compliance plan. That hadn’t been announced publicly. We are also looking to bring on one or two more regulatory folks to help us with compliance. Are you concerned Swarm’s defiance of the FCC will make it difficult to get regulatory approvals in other parts of the world, since Swarm’s goal is to be global? No, I’m not concerned about that. We already started talking to different countries. We are planning to be a U.S.-flagged corporation, but are intending to offer services globally. We’ve started to chat with various regulatory bodies, doing research, and are looking forward to that path. It is obviously quite a bit of work, but it’s been done before. Something Kalpak is guiding us through is getting approvals worldwide. Both inside and outside the FCC, there was surprise that Swarm’s fine was only $900,000. Did you fear a larger penalty? I wouldn’t say fear. I think we recognized that it could have been significantly bigger, and we had various lawyers helping us navigate that process, but we are really glad to have that behind us and we are moving forward with the FCC toward our commercial application. 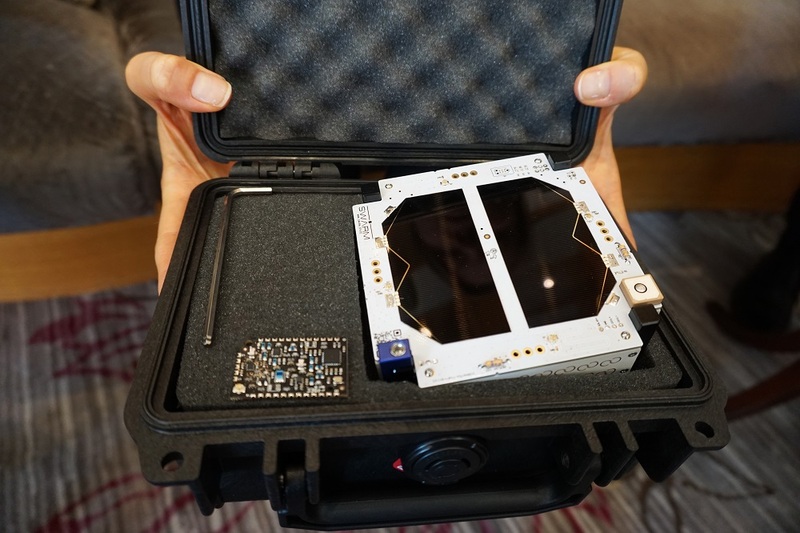 Swarm’s spacecraft are a quarter of the size of a traditional one-unit cubesat. What is the advantage of having such small satellites? The satellite’s launch costs scale directly with mass and/or volume. It costs between $80,000 and $100,000 to launch a 1U cubesat; it costs a quarter of that to launch one of our satellites. That allows extremely unique launch economics. Where most people launch one satellite, we can often launch 12 or more. Our designs are also very simple, so our satellites are low cost and can be integrated in our labs. We can build, develop and test on very rapid time cycles — about three months — and that’s enabled us to innovate really quickly based on the learnings from previously launched satellites, much more rapidly than many of the existing satellite solutions or even some of our competitors. Swarm first talked about putting up 100 satellites, but now says 150. Why the change? We are aiming for 100 by the end of 2019, but always had aspirations for 150 eventually. Now we are just being clear that we are aiming at that 150. The realistic timeline for that deployment will be mid-2020. What do you accomplish at those markers? We only need 80 satellites for global, continuous coverage, which is what we are optimizing for. However, given the time to spread and orbital dynamics, it’s better to have a larger number for redundancy, and so you can fill in coverage quicker. That is why we converged on 150. It’s also a number of satellites that has launched before. Planet has launched over 150 satellites, so it’s not super scary. 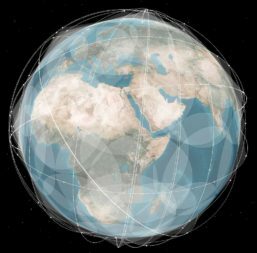 Once you have 100 satellites, what would your latency be? It would be very close to real time. Probably something like a 10-minute wait, worst case scenario. What is the estimated satellite life span? Three to five years, depending on altitude and the activity of the solar cycle. They are in a naturally self-cleaning [400- to 500-kilometer] orbit so they naturally come down and burn up in the atmosphere. Nothing ever comes to Earth. What makes the SpaceBee satellites visible from Earth? There are a few things that make them look bigger than they physically are. The first is a radar reflector. This is a Ka-band reflector on the sides of the satellites that we developed with [Space and Naval Warfare Systems Command] and the Navy specifically for our form factor. When we fly through the right radar fences, we look much bigger than we are. It’s like when light hits a mirror … we look at least as big as a 1U cubesat from all angles because of that technology. In addition, our [very high frequency] antennas, once they unfurl, are about a meter end to end. That helps us look significantly bigger. We have some great tracking data from LeoLabs, who we’ve been partnering with. They’ve produced a bunch of results showing that our satellites look as big as 3U cubesats in many cases and at least as big as a 1U in all cases. If one of your satellites dies before reaching orbit, could it still be tracked from ground? Correct, based on the radar reflectors. That was by design. Did Swarm know that before your unauthorized launch? We did, and we had shared that information with all regulatory bodies in advance of our launch. Why is Swarm focused on very low data rates no more than 5 kilobits per second per satellite? We’ve optimized for global coverage and very low costs. With our satellites the size that they are, and the technology we are using, we are able to be a tenth to a hundredth lower cost than competitors like Orbcomm and Iridium. Unlike a lot of our other competitors, we do provide complete global coverage, meaning anywhere you are on the Earth at any time, there will be at least one Swarm satellite overhead. It’s optimized for use cases that require a constant connection. Think of an emergency vehicle that drives off the road, or tracking a container ship or truck. Swarm has raised $28 million in total, including $25 million in January. How far does that get you? That gets us to deploy our entire constellation. We are aiming to do that by mid-2020. It gets us to hire our dream team, so we are actively recruiting and hiring … we are aiming to about triple our team [of 11] by the end of 2019. Then it lets us continue advancing our tech, doing a lot of research and development, test flights and experiments on the ground and in space. It will take us well into 2020 and possibly later depending on the direction that the company goes. Do you have a target size for a Series B financing round? No, we are just starting to even think about that. Who do you see as your first customers? Our first customer is probably Ford. We announced an exciting partnership with them at the Consumer Electronics Show. We are providing them a global, 100 percent connectivity solution through satellite. They’ve been very strong partners and I expect that they will continue to be. We are in a pilot phase with them, and they will likely be our first commercial partner. We are also working with several other Fortune 100 and 500 companies that I can’t name yet but are also potential first partners. When do you expect to receive a commercial license from the FCC? We are hopeful that it will occur in 2019.